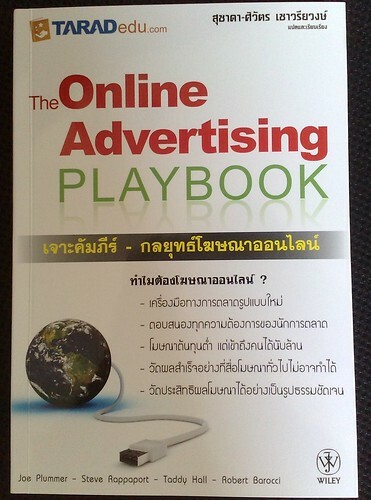 สุดท้าย ถ้าใครจำ summary ของคุณคริส จาก DELL ได้ ลองสังเกตให้ดี เทคนิคนี้ เหมือน เทคนิค จีบสาว มากครับ เริ่มจาก (1) Know your target อันนี้ก็เหมือนตอนเรา เล็งๆ เหล่ๆ (2) Reach through the right channel อันนี้เหมือนจังหวะ เข้าไปคุย ทำความรู้จัก เข้าไม่ถูกทาง ก็อาจวืดได้ แต่ถ้าเข้าได้จังหวะก็แจ๋วเลยครับ ต่อมา (3) Push emotional button แหม อันนี้สุดยอดครับ จะได้ใจ ไม่ได้ใจ อันนี้ก็ต้องหาจุดอ่อน (ทางอารมณ์) ของสาวเจ้าให้เจอ ถ้าเจอละก็ โอกาสสำเร็จมีสูงครับ … แต่แล้วอันสุดท้ายนี่สิครับ (4) Long term management คือพอได้มาแล้ว จะทิ้งขว้างไม่ได้นะครับ ต้องดูแลกันไปอีกยาวทีเดียว ประมาณว่า ห้ามทิ้งเค้า ต้องอยู่ไปจนกว่าเค้าจะทิ้งเรา ครับ! The emergence of foursquare also added the new “WHERE” element to the development of social media. Driven by GPS technology, we can foresee how this application affect our way of living the same way the other social media did in the past. Obviously, technologies are the driver behind changes of consumer behavior nowadays. Foursquare : Do Thai marketers have to pay attention to this location-based service now? If 2009 was the year of Twitter, 2010 looks set to be the year foursquare steals that crown. A service that mixes social, locative and gaming elements to encourage people explore the cities in which they live. Haven’t heard about it? Register at http://www.foursquare.com , download the application to your mobile device and give a try. Upon your first check-in, you may find the tips those the previous visitors shared about that particular place. Foursquare has already been embraced by some early-adopters in Thailand*. Nevertheless, many marketers will be asking what all the fuss is about and whether they need to pay any attention. At present this means that it’s mainly businesses such as restaurants and cafes taking an interest in foursquare. But we can certainly see it spreading so that any business with a physical representation, whether it’s a retailer or a bank, should consider how customers using foursquare could affect their reputation. * We randomly picked 9 places those have more than 100 people checked-in, obviously there are still limited amount of users. However, it’s worth to keep monitoring these people as they are not only check-in to show their presence, but also add some tips those may affect the followers’ purchase decision.